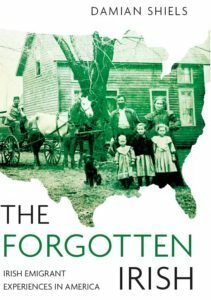 The first publicity for my new book The Forgotten Irish came recently on the RTE Radio 1’s The History Show. The programme featured extracts from four of the stories, with actors reading from a number of the letters. It is always great to hear these letters brought to life in this way– particularly as one gets a feel for the regional accents of the individuals involved. This part of the show has now been podcast, and you can listen to it by clicking here.